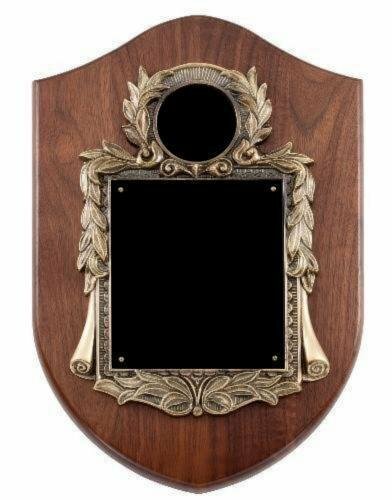 This Amercian Walnut Plaque with Metal Frame has an elegant look for truly special recognition. 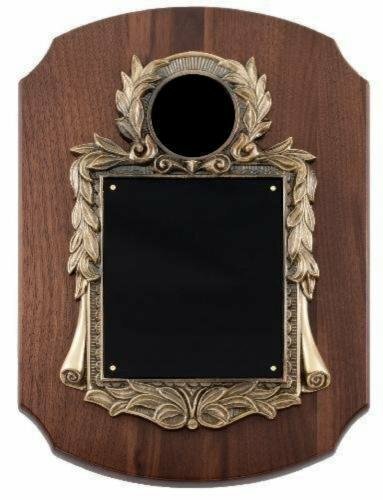 A logo or lettering can be engraved on the 2" black brass insert. We can also create a color logo with a brushed gold or white background in place of the 2" insert. The metal from has an antique gold finish. Individually boxed. 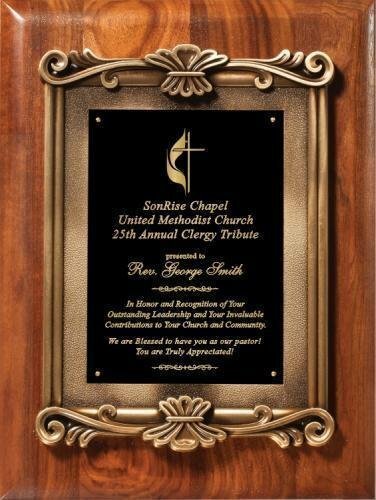 Genuine walnut plaque with metal casting, including black brass 2 1/2" medallion. Individually boxed. 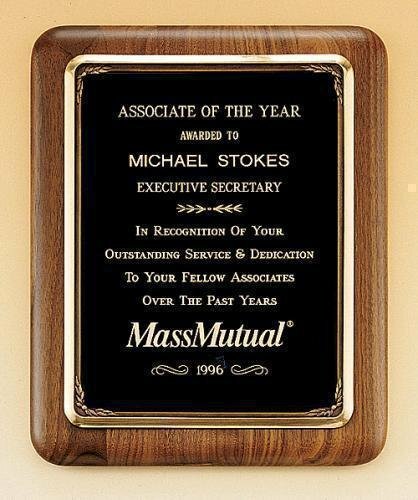 Solid American Walnut with Metal Cast Frame. 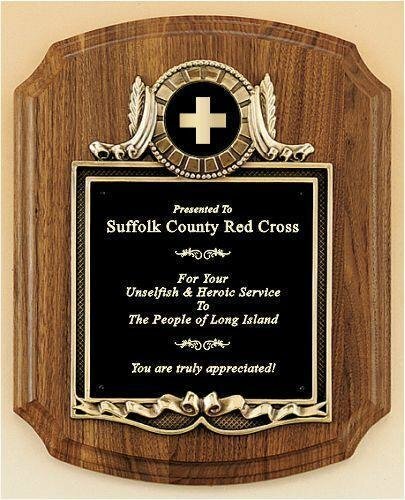 This corporate plaque is laser engraved and individually boxed.